It’s our next Community Music Workshop, and our first of 2018! 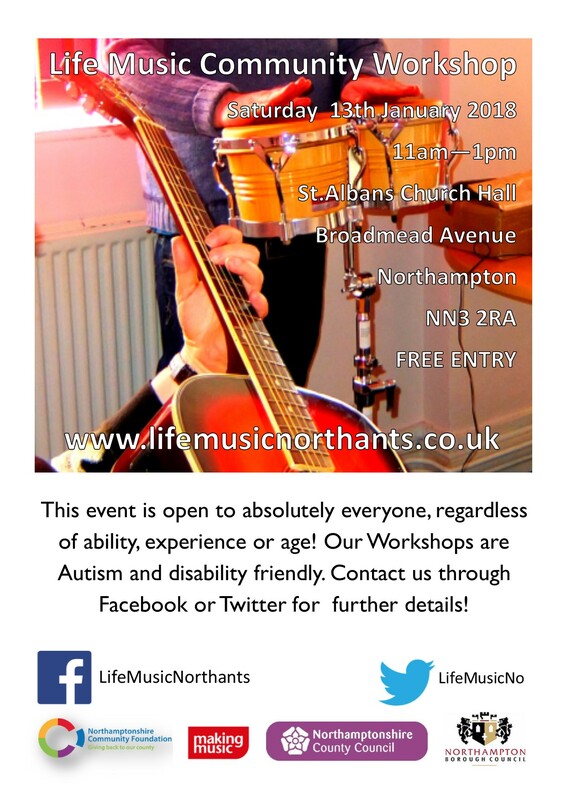 The event is free of charge, and is open to all regardless of ability, experience or age. All our workshops are autism friendly and disability friendly! Vocal coaching, guitar and keys, learning and performing songs!